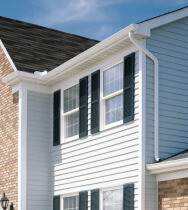 Chicago Gutters Contractor, Downspouts Chicago, Master Remodeling & Construction, Inc. | Master Remodeling & Construction, Inc.
Master Remodeling & Construction, Inc. offers a variety of Chicago gutter solutions. Each year, countless hours are spent cleaning clogged and debris filled rain gutters. This is a time consuming and dangerous task. Call us now! Master Remodeling & Construction, Inc. offers professional installation of gutters and downspouts methodically channel water away from your home. If not, elements of your home – including your roof, soffit overhangs, walls, and foundation – are at risk for water damage. Master Remodeling & Construction, Inc. features aluminum, galvanized steel, and copper gutters, all in a variety of colors. We do install only the best quality gutters that can handle the weight of ice and snow of Chicago winters.